Rooting a Droid X: In the following simple solution, I cover a simple way to Root a Droid X, or almost any other Android Based Phone via Z4Root, created by RyanZA. By Rooting your phone, you obtain System Level Access, enabling you to do things with your Droid that are not possible with limited user access. Busybox is also included with Z4Root. Disclaimer: Although, Z4Root worked for me, I offer no warranty for this information or tool. By proceeding, you (the reader) agree not to hold me responsible for any issues or damages that could unlikely, but potentially arise from using this information and tool. Download the Z4Root package and install it to your Droid. Choose Permanent Root. 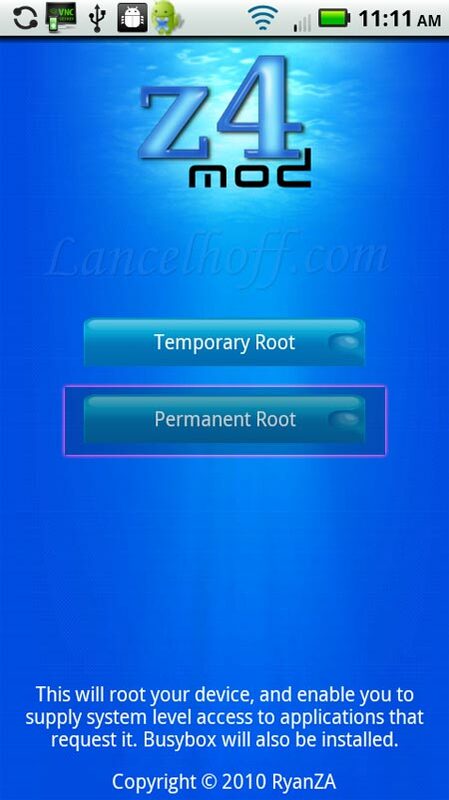 An Option to Un-Root becomes available after the phone has been Rooted, so you can return your phone to factory Unrooted condition. Wait for Z4Root to do its magic. Once finished, reboot your Phone. 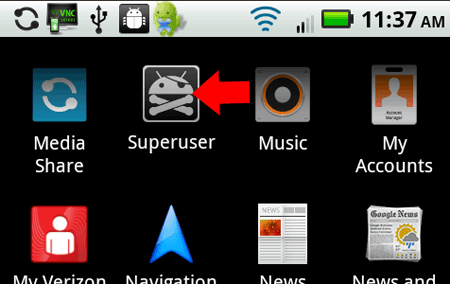 To confirm that your Droid phone is rooted, you should see a new Superuser application in your applications menu.